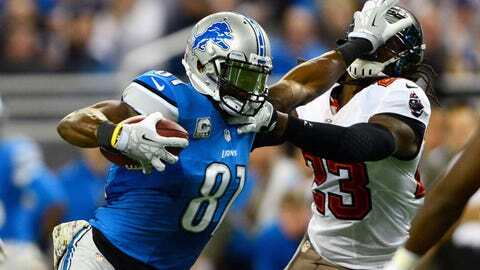 Calvin Johnson (6-foot-5, 236 pounds) ranks second in the NFL in both receiving yards (1,351) and touchdown receptions (12). ALLEN PARK, Mich. - A surprise was waiting for Calvin Johnson when he entered the receivers’ meeting room Thursday morning at the Detroit Lions’ practice facility. Up on the video screen was a copy of the article in which Baltimore Ravens rookie safety Matt Elam called Megatron "pretty old." "He didn’t even know about it," teammate Nate Burleson said. "I joke with Calvin all the time that he’s oblivious to a lot of stuff, which is why he stays focused because he doesn’t get into things that people say. "We told him this morning. He just laughed. It was kind of one of those laughs like âwe’ll-see about-that.’ He really didn’t care, but I’m pretty sure he tucked that away in his memory. He downloaded it into his mainframe. It’s good motivation. "Especially being a rookie. Come on little buddy. Take it easy with the comments." I’ll show him what that old-man strength is about. "I am getting old," said Johnson, 28, in his seventh NFL season. "I’ll show him what that old-man strength is about." "I don’t need motivation but anything positive, anything negative that comes at me throughout the week, you just take it, put it in the box over there for motivation and use it on (game day)," Johnson said. "It doesn’t surprise me. He doesn’t have to see me on the field. He can talk all he wants. He plays back (in the secondary). I don’t see him every play unless I run past him. I’m not worried about it." Asked for his evaluation of Elam after watching video of the Ravens’ defense, Johnson added, "Just safeties – nothing extraordinary. Those are definitely guys we can make plays on." On Wednesday, in an Associated Press story, Elam said of Johnson, "He’s a big guy, but he’s older. I guess when they get older, they’re not going to be as physical. You know what I’m saying? We’re going to have to be physical, make him uncomfortable." 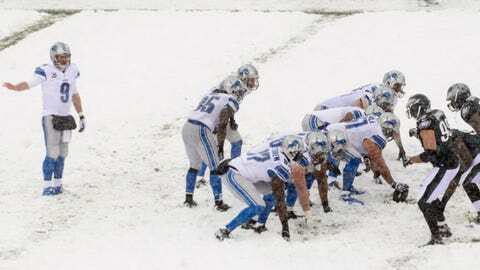 "It’s like kids say the darndest things, rookies say the darndest things," Burleson said. "I just don’t understand why you would throw shots at The Beast. I think it’s pretty funny. "We’ll make sure that we take all our proper medication to lube these old bones up and we’ll see what happens on Monday night." "I don’t think I can hold somebody and jump at the same time," Suh said. "I guess I am super-natural." The penalty came on a two-point conversion attempt and was widely viewed as a phantom call. It’s brought up more debates about whether Suh and teammate Nick Fairley are being called for penalties at times solely because of their reputations for being dirty players. "Nothing in life is fair," Suh said. "I just can’t pay attention to them. If I did then my head would go crazy. There would be a lot of stuff to worry about. I just go out there and play." As for his discussions with officials to try to get explanations for calls against him and no-calls against offensive linemen, Suh said, "I have a million conversations with the refs. It’s always fun and games there, more or less." "It was more precautionary," Bush said. "For sure, tomorrow." Defensive end Ezekiel "Ziggy" Ansah also missed practice because of a shoulder injury. His status for Monday is unclear.